Garrotxa in Catalan literally means “rough, uneven land”. That sets the mood! 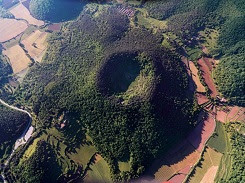 This area is the volcano area of Catalonia. Even though the volcanoes are not active anymore, the area is still a seismic zone. In the park, you will discover greenery hills, with a beautiful flora. The natural area is well connected as villages are located inside. You can learn more about this natural phenomenon with your family, thanks to the dedicated museum and hiking trails. 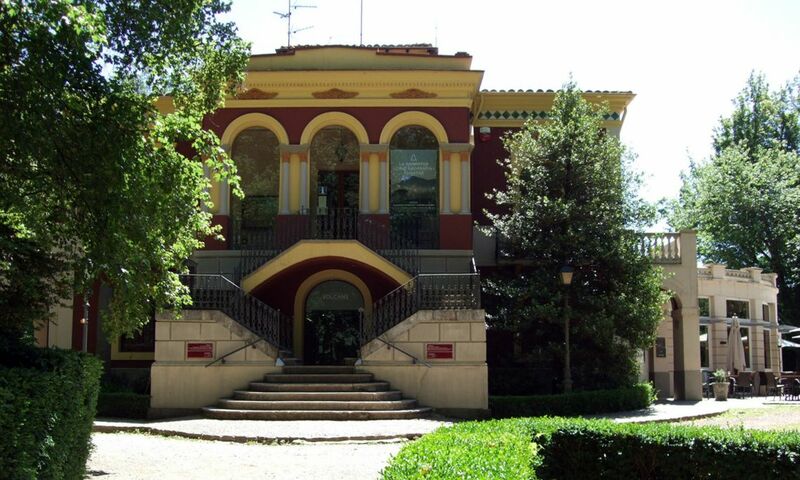 The museum is located in Olot, the main village, in the Parc Nou. The building was designed by Fontserè i Mestre, the architect of the Ciutadella Park in Barcelona. The museum is a good introduction to the national park and its volcanoes. You will discover the history of the park, the first protected area of Catalonia, and of the dormants volcanoes surrounding. The museum is closed on Mondays. From Tuesday to Saturday, open from 10am to 2pm and from 3pm to 6pm. On Sundays and holidays, from 10am to 2pm. Tickets: general is 3€, free for students, unemployed and Carnet Joven. Reductions for retirees, groups and large families. The area is made for hiking-lovers! You can easily hike with the whole family as the height difference is not important, the highest volcano culminates at 786 m (Croscat). The website Itinerannia is a good way to gather informations about the existing walking paths, if you want to explore the natural part or the cities. You can also hike with a guide, to discover the secrets of the region. You will find signposted routes in the park, adapted to bikes. If you don’t have yours, there is renting companies in Olot or Les Planes d’Hostoles. Different equipment is available, from electric bike to mountains ones. Eventually, you can also rent a GPS with the bike, to discover every corner of the park. You can also choose to have a guide with you. Why not take a little height? The company Vol de Coloms proposes hot balloons tour. Starting early in the morning, when the winds are calm and the sun just up, you can observe the relief of the ark and how the volcanoes shaped the area. You can book a flight for maximum 10 people. You will witness the installation of the balloon while enjoying a hot drink and then, off you go! For the more adventurous, you can also enjoy a paragliding baptism. Flight with a monitor to discover these new sensations! If you stay for a while, you can also learn how to paragliding thanks to courses. Fed up with walking? Come discover this donkey farm near Les Preses: two passionate farmers will welcome you for the tours. They’ll show you their farm and knowhow with their 80 donkeys. For little children, a parent can ride with her/him. Price: 10€ for one person per donkey, 15€ for two. 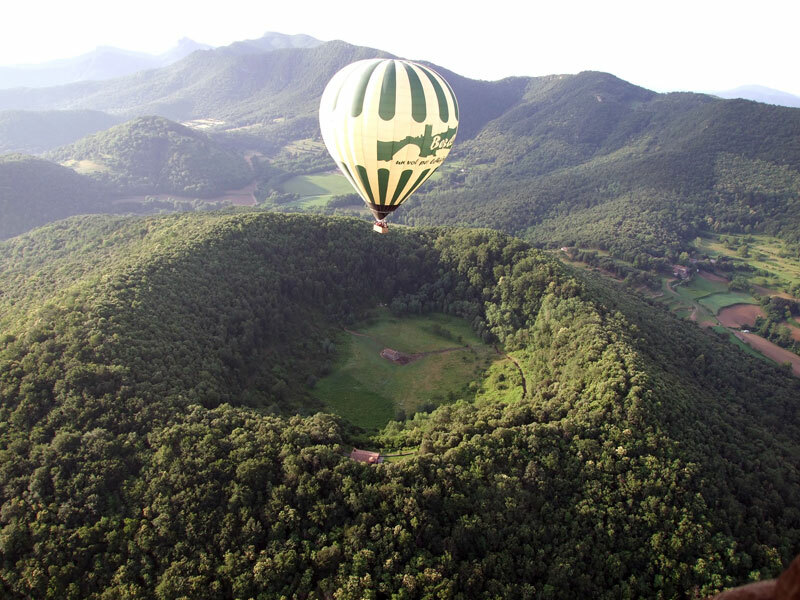 La Garrotxa is full of activities for nature lovers! It is also a great place for ecotourism, as the area is developing sustainable tourism for 20 years now. Enjoy a family room in Camprodon and don’t hesitate to come to us for more informations concerning the region.